power lines, USB data lines, instructions. Application Ceramic, metal, phone case, crystal, pvc cards, CD, ball pens etc. Double heads can help you print on dark materials by only one pass with fast printing speed. All of our printer head used is original epson head, not renew. so they has the longer liftime. 3. Max. 20cm object height available to be adjusted to meet more requirements from clients. We can help you design cylinder adapter for your 6060UV printer, but kindly know it just can print on cylinder with light dark background. 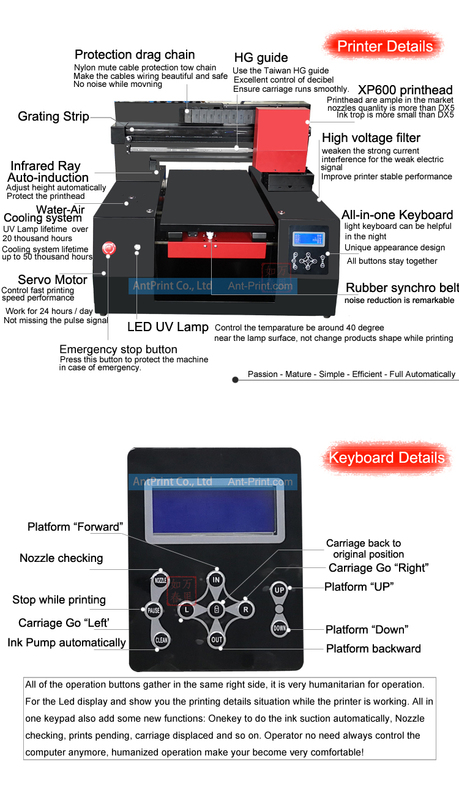 Double UV LED lamps can make the ink dry faster and make the printing area bigger. The LED UV lamp lifetime can up to 50000 hours. 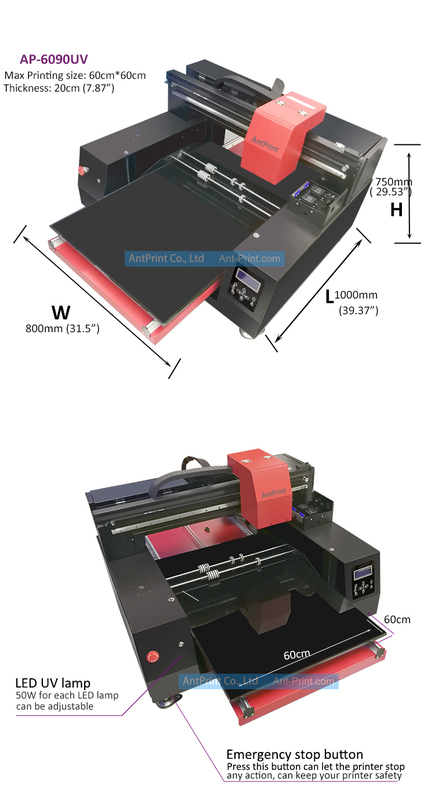 Linear guide is make by the imported Germany CNC, so it can help you print with hight printing precision. You also can control this printer by touch. 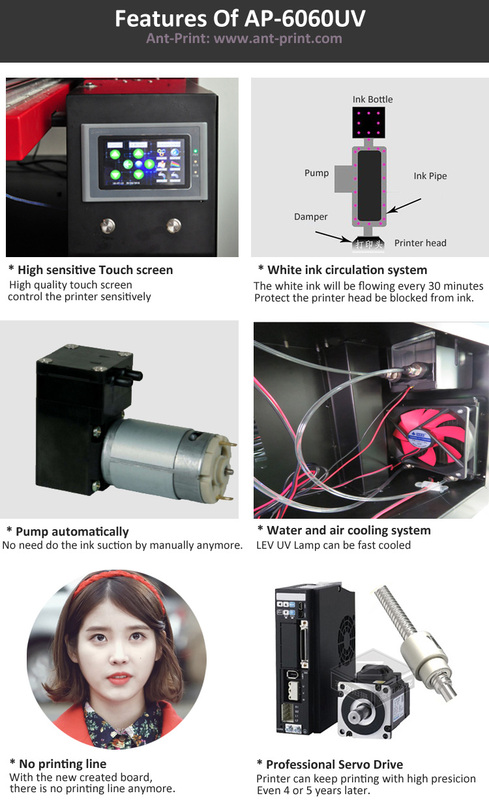 When you receive your new printer, it can do the ink suction or ink pump automatically, no need do the ink suction by hand anymore. 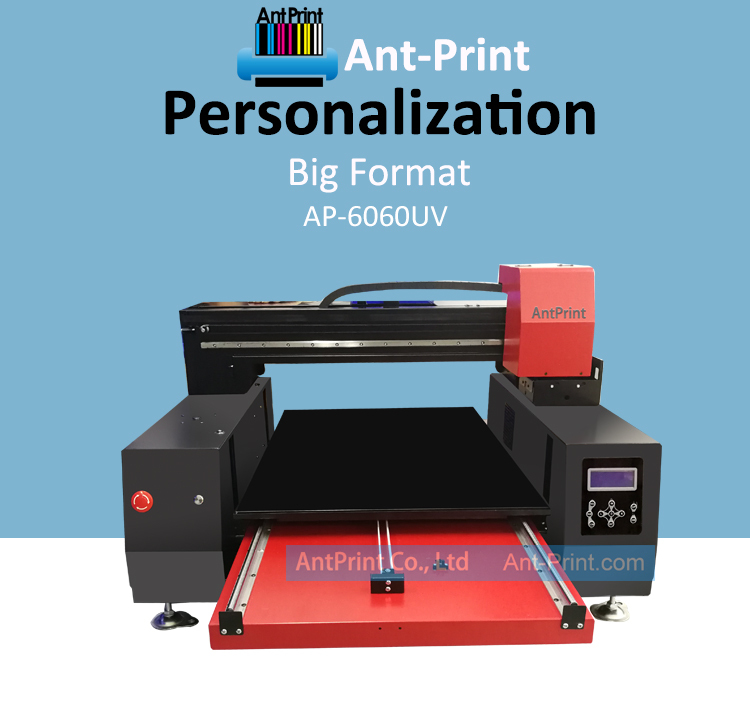 AP-6090UVR application on phone case, wood, glass, crystal, cards, leather, stone, tile etc.